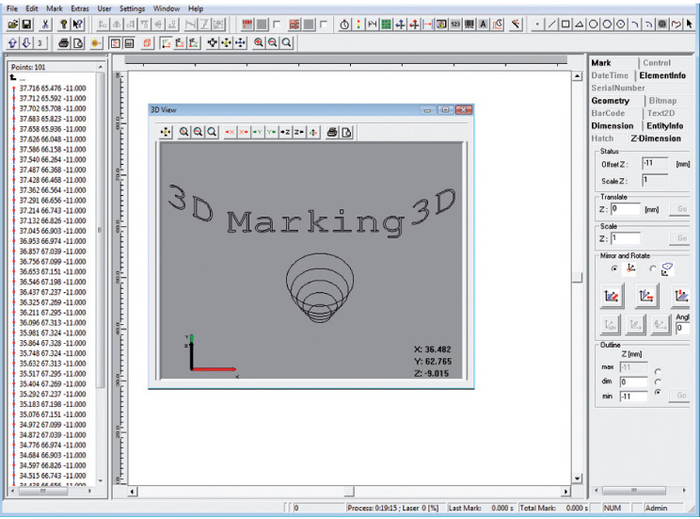 The option Optic3D allows marking on curved surfaces. A three axis scanhead is required. The different available modes are described here.